Mystic, Conn. (September 14, 2016): Today, after decades of research by Mystic Aquarium’s research scientist Dr. Peter Auster and the prolonged and dedicated efforts of the Protect New England Treasures Coalition, President Obama designated the Northeast Canyons and Seamounts Marine National Monument as the first Marine National Monument in the Atlantic Ocean. 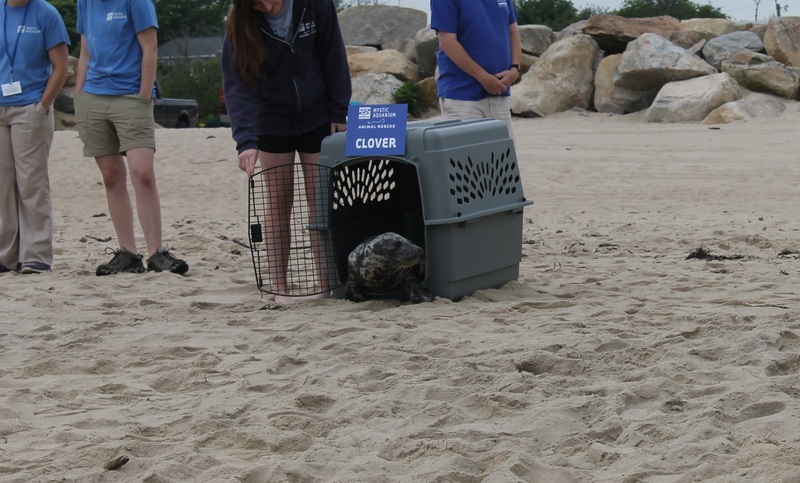 Earlier this year, Dr. Auster with colleague Dr. Scott Kraus of New England Aquarium released compelling science demonstrating this place as especially rich in habitats and a hot-spot for marine life. Located 150 miles off the coast of Cape Cod, along the southern edge of Georges Bank, Northeast Canyons and Seamounts Marine National Monument is comprised of a system of massive undersea canyons and submerged volcanoes. Supporting an extraordinary array of ocean wildlife, the area is home to unusually high concentrations of whales, dolphins, sea turtles, birds and colorful deep sea corals, some estimated to be more than 1,000 years old. In its deeper reaches dwell a bizarre and strange cast of deep sea creatures, from deep sea fish to bioluminescent jellies, to eerily waving fields of sea pens. This designation fully protects an area comparable to the state of Connecticut. But it’s about more than quantity – the monument has many high-quality areas for habitat and marine life. Protected places increase resilience to climate change and are especially important in places already experiencing the effects, like New England’s waters. “Evidence from all around the world demonstrates that ecological communities and populations of organisms are more resilient to the impacts of climate change when protected from direct human disturbances,” added Auster.